How is weekend going for you? Shopping and preparing for Christmas? Mine is a bit relaxing weekend this time. Winding down. Four more days of school and summer holidays. Yay! Not going anywhere this time with plenty to do during the holidays. Still! I cannot wait for holidays 🙂 Enough of my rant. Today I have a Penny Black Christmas card to share with you. Yes, I am still making Christmas cards. A few more last minute cards to make. Will finish off by Monday! Here is my card. I have used some of last year’s stamp sets on my card. 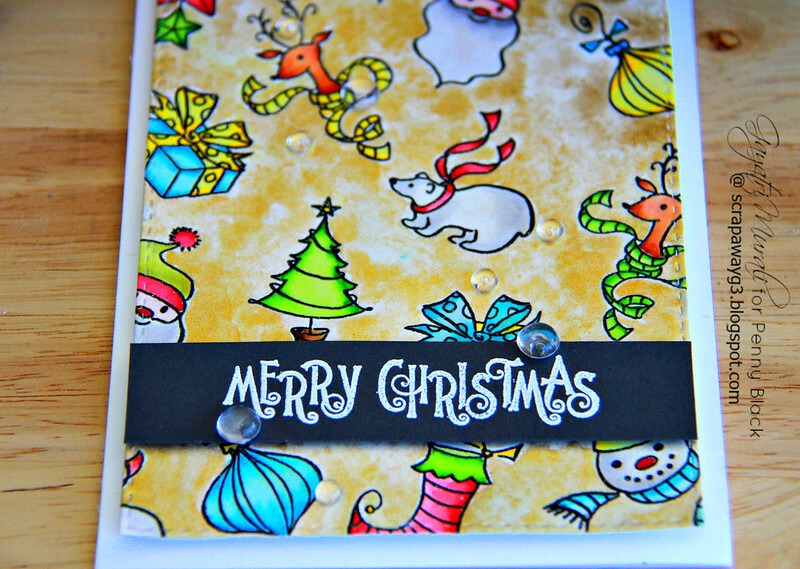 I love the Tiny Treasures stamp set for its tiny outline images. This set is great value for money and absolutely adorable images. I black heat embossed the images on watercolour cardstock, coloured the images with Zig Watercolour pens. For the background, I wanted to make it festive, so I coloured with gold mica watercolour. This card looks gorgeous under light at night. The gold shimmers making the card festive. I die cut the panel using a Stitched Rectangle die. The sentiment is whit heat embossed on black card stock. The sentiment is from Whoo’s Wishing stamp set. Finally embellished with Pretty Pink Posh Clear Droplets. This is gorgeous Gayatri, what a great background! Done up so beautifully. A lot of work went into this and it paid off. Great background. 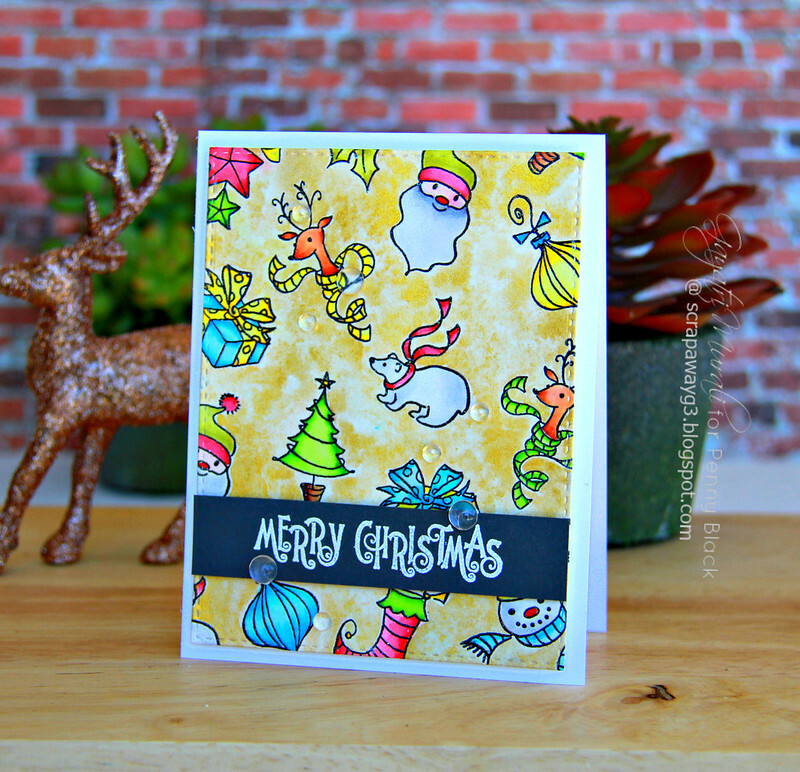 Love how you've used all the little stamps and I can imagine that the gold background is so shimmery.